Situated in over 2 acres of private grounds, with ample parking. 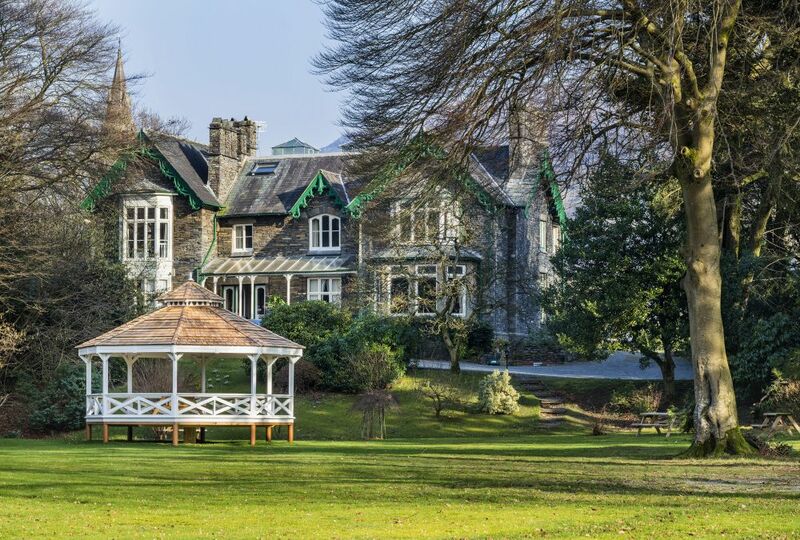 The Manor is located just a short stroll from Zeffirellis, Fellinis and the centre of Ambleside, making our comfortable country guest house the ideal place to stay for any occasion. The guest house offers delicious vegetarian and vegan breakfasts to be taken in our delightful dining room or on the patio on finer days. All rooms en-suite and appointed to a high standard with B&B from just £105.00 per night for 2 guests (standard room). 3 night special, plus dinner on 2 nights from £365.00 for a double standard room. Or, upgrade to a double or twin superior room for £410.00, or a suite for £450.00. Offer based on 2 people sharing and inclusive of 3 course meal or 2 course with film at either Zeffirellis or Fellinis on 2 nights. Visit the Ambleside Manor website for more information and details of each room. Treat someone to a stay at Ambleside Manor with a gift voucher, available in a variety of denominations.